Innofil3D ASA is a high-performance thermoplastic with similar mechanical properties as ABS. ASA offers additional benefits such as high outdoor weather resistance. Innofil ASA 0.75kg. 2.85mm diameter and approximately 90m long. Innofil3D ASA is a high-performance thermoplastic with similar mechanical properties as ABS. ASA offers additional benefits such as high outdoor weather resistance. This makes it a more suitable material for outdoor use and for use in automotive applications. The UV resistance, toughness and rigidity make it an ideal material for 3D-printing applications. Ultimaker Nylon is formulated for an enhanced 3D printing experience, serving numerous applications where durability, impact resistance, flexibility, and strength are required. Nylon is a great choice for 3D printing tools, functional prototypes, and end-use parts. PLA is the easiest material to print with, derived from corn starches it is cheap and eco-friendly too. We recommend starting with PLA and using it wherever possible, unless you require more mechanical strength or thermal resistance. 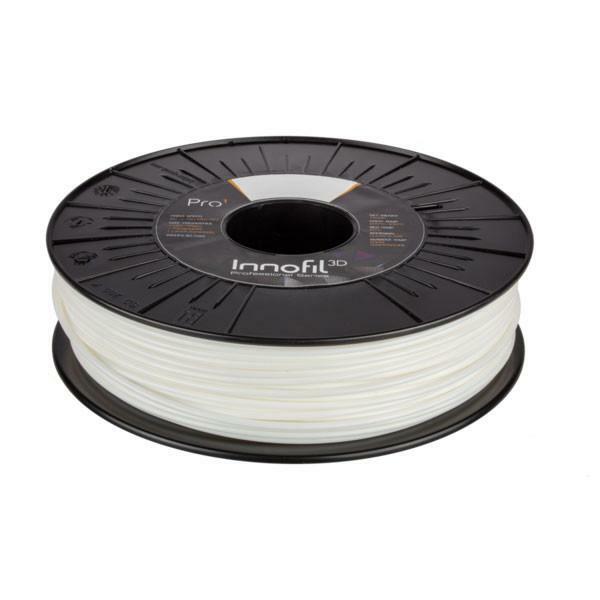 Innofil is our best value PLA.